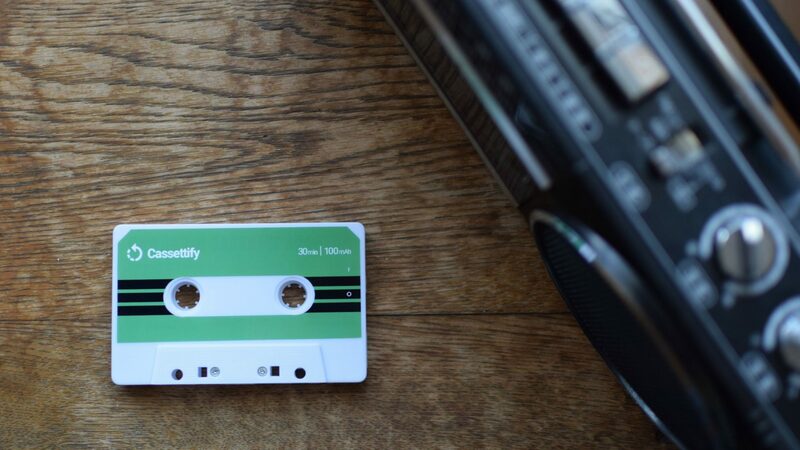 Cassettify – The cassette tape for internet streaming music services. The cassette tape for internet streaming music services. Cassettify is the cassette tape for internet streaming music services. Insert it into the cassette player and push the PLAY button, then you can listen to the internet streaming music like conventional cassette tapes. 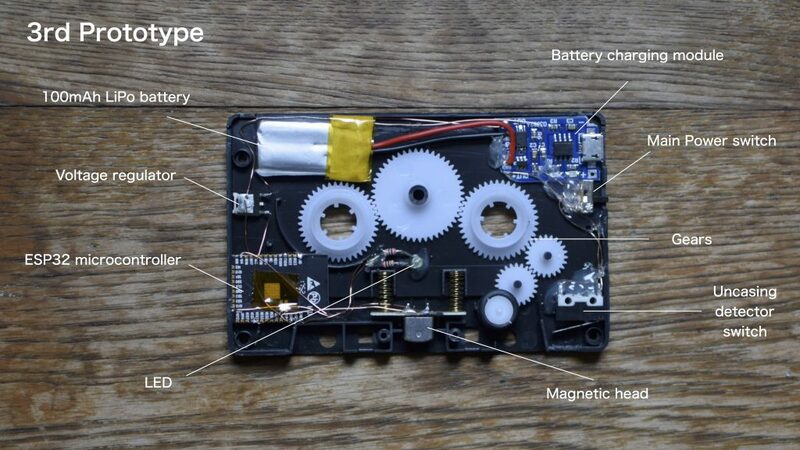 Inside the cassette, the WiFi chip makes connection to the internet and starts outputting music as analog signals from the magnetic head. It is compatible with any kind of cassette player. At least a WiFi AP is available, you can play it with even portable players or car stereos. Uncase the latest Cassettify and it wakes up and connects to the internet instantly. No more turn-on action required. Based on a cassette tape adapter, there are an ESP-WROOM-32 microcontroller, a LiPo battery and a battery charging module inside. In this prototype, the battery capacity is 100 mAh and it lasts about 30 minutes. You can charge the battery with microUSB cable. Ka-Radio32 the open source software is running on Cassettify. Today we talk, read newspapers, take photos and listen to the music on smartphones. Every tools or activities is going to be replaced by Apps. But if smartphones had not invented, how things could be in 2018? The aim of this work is to imagine possible futures without smartphones and to speculate about the alternative world.